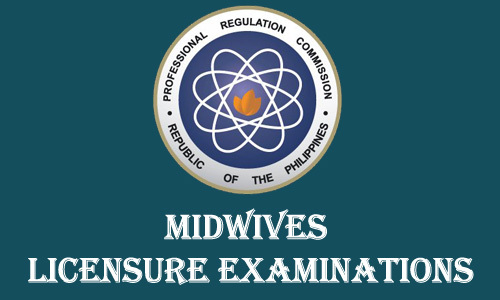 The Board of Midwifery and Professional Regulation Commission (PRC) released today, November 21, the 1,336 out of 2,902 passed the Midwife Licensure Examination in the cities of Manila, Baguio, Cebu, Davao, Iloilo, Legazpi, Lucena, Tuguegarao and Zamboanga this November 2013. You may use your keyboard to easily find if your name is succesfully included in the list of passers. Just key in 'Ctrl + F' then type your surname in the blank bar that will appear in the bottom of your browser. The list of topnotchers can be found below or just click this Top 10 Midwifery Board Exam Passers. For the meantime, please bookmark this page now or visit this site more often for you to be updated. You may also share this post to your friends so they may know about November 2013 Midwifery Board Exam Results. Comments or suggestions about "November 2013 Midwifery Board Exam Results Released 1,336 Passers" is important to us, you may share it by using the comment box below.